High tensile zinc plated steel. Use when a full threaded bolt is required. 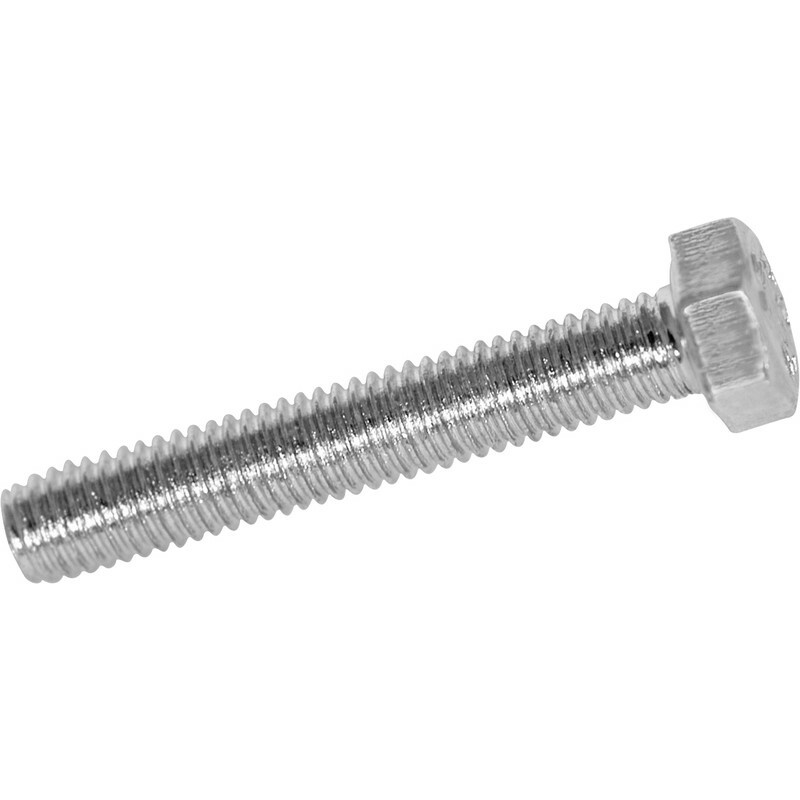 High Tensile Set Screw M8 x 40 (10 Pack) is rated 4.7 out of 5 by 27. Rated 5 out of 5 by Mickieboy from Great Bolts Great Bolts at a competitive price. Did the job I needed them for. Rated 5 out of 5 by Davo 3 from strong can use these for multiple wood joining jobs. Rated 5 out of 5 by diydad1 from 8mm Set Screw Ideal place to buy a small quantity like this. Good quality does the job. Rated 2 out of 5 by Paul45 from Just right A 6mm set screw in a convenient pack size. Perfect for when you need one.